John Hawkins, a supporter of the Crawley and Horsham Hunt has been found guilty of breaking an anti-hunt campaigner’s arm in an unprovoked attack. The jury at Brighton Crown Court (Lewes Combined Court) found John Hawkins a 69 year old supporter guilty of Grievous Bodily harm, after deliberating for more than nine hours to reach a majority verdict. Hawkins, who runs a private slaughter house at Singers Farm, Cowfold, will be sentenced on November 8th. 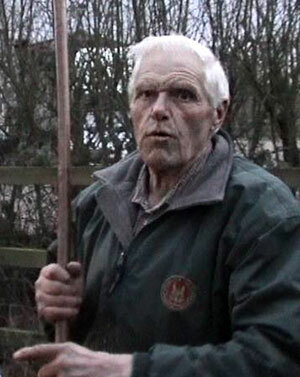 The case relates to an incident on 29th January 2005, where Hawkins struck anti-hunt campaigner, Lynn Phillips with a stick, causing a “night-stick fracture” of the forearm. This is a fracture caused where a person brings their arm up to defend their head from an overhead blow. The incident ocured at Spear Hill, near Ashington, West Sussex. Richardson is the son of the late Sir Michael Richardson, who was known as “Mr Privatisation” and was a darling of Lady Thatcher. Mind you, General Pinochet was a darling of lady Thatcher also! Following the incident and while Ms Phillips was being taken for medical treatment in the West Sussex Wildlife Protection Group’s minibus, the driver was assaulted by a hunt supporter (Surrey Union Whipper in, Andrew Hazletine), while another hunt supporter (Surrey Union hunt groom, Joscelyn Cleveland) stole the keys. Both hunt supporters later received formal police cautions, with thief Cleveland paying compensation in an out of court settlement.